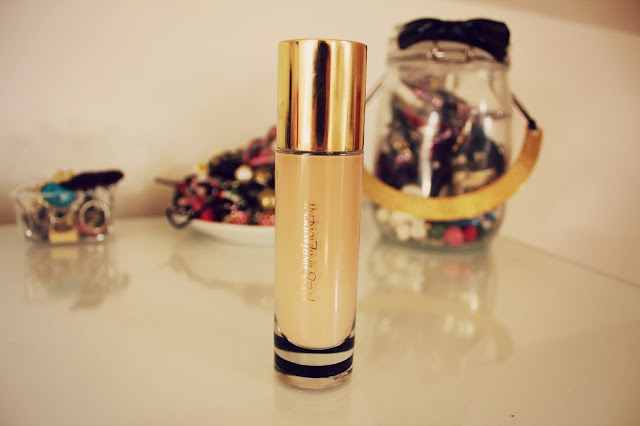 I've had this foundation in my collection for quite a while, when I bought it I used it for a while and then quickly moved on to others. It wasn't that I didn't like it, I don't really remember why I stopped using it! I recently dug it out of my dressing table and have been using it everyday since. I have the shade BD20 and am NC20 at Mac if you want to compare and the rest of the shade range really varies so I do think that whatever your skintone, you should be able to find a shade to suit you. I would say the coverage is medium, it doesn't feel heavy on the skin at all. I really like the coverage because lately I've been preferring products on the lighter side and it's nice sometimes to not have a full coverage foundation on everyday. I have quite dehydrated skin, although throughout the day it can get oily in places such as around my nose. I don't think this foundation would be great on really oily skins as I found that I did need to powder later in the day, it's not very oily, slightly "dewy" but if you prefer a matte foundation then this probably isn't the best one for you! The packaging is very sleek and feels expensive, it probably should do as it costs £29! I bought it for £28 but I think they have raised the price since, my Nars Sheerglow is £30.50 and I actually prefer the YSL one as it is easier to work with on my skin when it's dryer. If you are clumsy like me it may not be the safest packaging as things usually end up being dropped, but it is one of the nicest products in terms of the packaging that I've tried! I think YSL are great with how they package products as they really feel like good quality. The foundation contains SPF19 so this is not a foundation to use if you're going out and know you are being photographed with flash and especially do not use this on your wedding day! 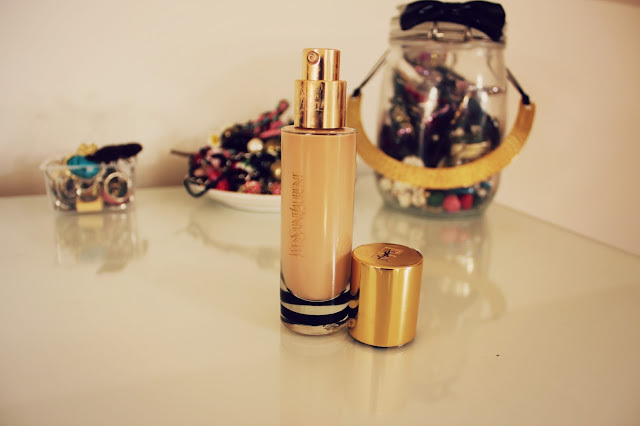 Overall I really love this foundation, as I said I've used it everyday since I started using it. There is something "flawless" about it without it being full coverage, which I love. I feel like my skin looks so much better than it actually is, it definitely evens out my skintone and is one I would recommend so much! This is on my to-try wishlist! Love this post! And your photos are gorgeous. I love the touche eclat foundation too! You've made me want to dig this out. Everyone raves about this and I can see why! I think it's worth every penny & I love it! I'd love to try this, I have the sample but haven't got round to using it yet! I would love to try this it looks really nice!